A few of the most common mistakes people make when doing home DIY projects and how to avoid and fix them. The DIY trend just keeps getting more and more popular. Everyone is discovering a lot of projects that they can take on themselves to save a lot of money. DIY projects also give families an opportunity to spend time together and give people the change to create something they can be proud of. However, DIY projects do have their share of risks. Not everyone is equipped to take on certain projects without some assistance. Here are some of the most common home DIY mistakes people make, and how they can avoid or fix them. Fake home security measures like a fake camera outside and leaving a light in a timer behind the house used to work really well, but criminals have gotten smarter today. Instead, home owners should invest in a home security system from http://homesecurity911.com/adt/ to secure their home fully. Trends are really fun to incorporate into home décor. Trends, however, are fleeting, so home owners should avoid spending a lot of money on a trendy piece. Expensive items like furniture should be classic, with less expensive items like throw pillows added in to freshen up the look. Painting is a great way to add new life to anything in the home, but timing is of the essence. For example, painting an outside deck when it is really hot and sunny can case bubbling and other issues. 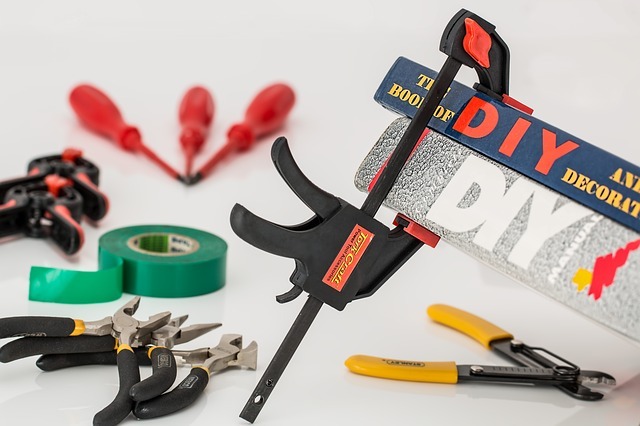 A lot of people who do DIY projects like to get just the bare minimum right away, or wait until certain items are needed before they buy them. In some cases, this may work out just fine, but most of the time, it can cause major issues for the entire project. Buying all the materials and tools right away is essential. Hanging something on the wall seems like such a simple task that many people forget the basics before starting. Not finding the stud to hang something on the wall can result in a big hole. Home owners can fix the hole and start again after finding the right placement. Measuring mistakes are some of the most common in home improvement projects. People who are not used to doing much math or doing home improvement projects on their own might struggle to find the right measurements. Double checking is the best way to avoid this mistake. DIY usually means doing a project completely alone for some people, but things always go more smoothly when there is at least one other person helping out. Having another set of eyes can help anyone avoid mistakes and get the best final result to their DIY project.